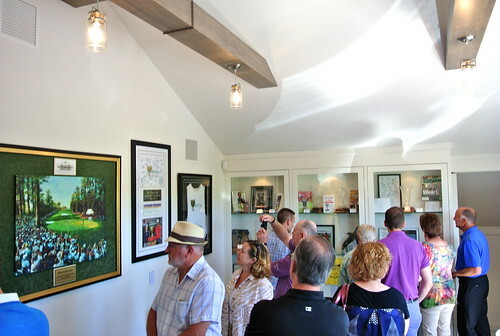 It was pretty cool to watch the Mike Weir Winery finally emerge in all its glory on the Beamsville Bench and even cooler to see Mike Weir, the greatest Canadian golfer, officially open his gallery at the site. 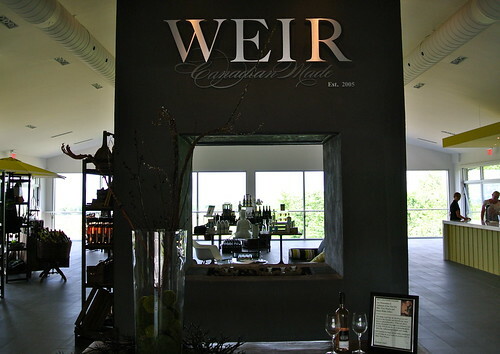 It has been a big month for the Weir group, especially for Barry Katzman, president of Mike Weir Wine in Niagara, and his team, as the long road to becoming an official winery with a stunning hospitality facility overlooking the estate vineyards and Lake Ontario was finally realized. 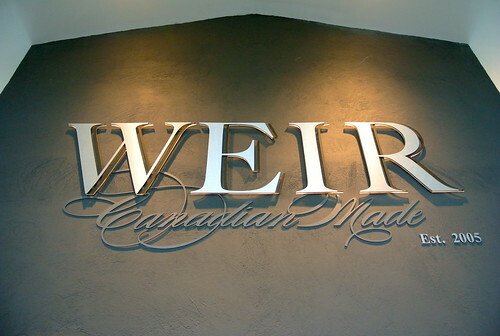 Up until now, Weir Wines were made first at Creekside Winery and most recently at Chateau des Charmes. 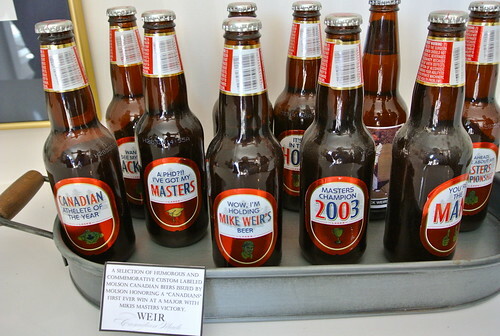 The brand was successful across Canada but had no real home in Niagara and no vineyards to source its own grapes. 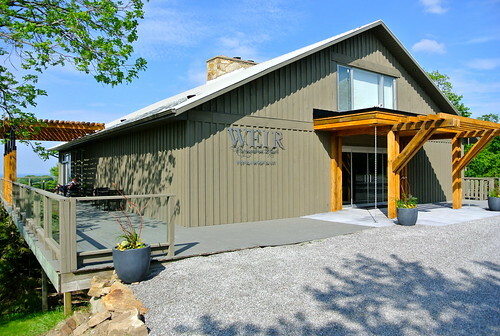 It is a spectacular facility with sweeping panoramic vistas of Lake Ontario and the newly replanted Weir Family Vineyard from the massive wall-to-wall windows in the open-concept tasting room. 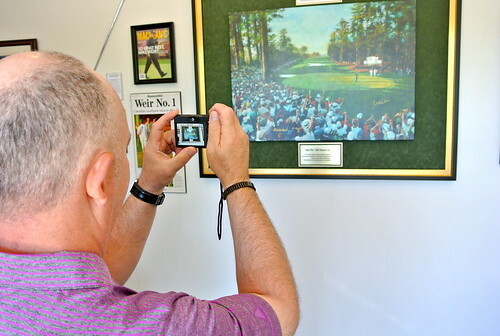 A large, sleek wine bar invites guests to sip new releases of Weir’s wines and stations around the tasting room offer guests a choice of wine, Weir hats and shirts and sauces emblazoned with the golfer’s name. 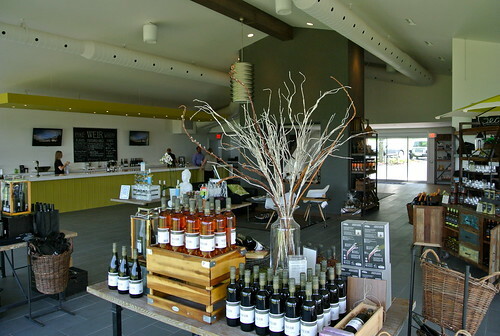 There is also a long outdoor patio where guests can enjoy wine while gazing out onto the vineyard. 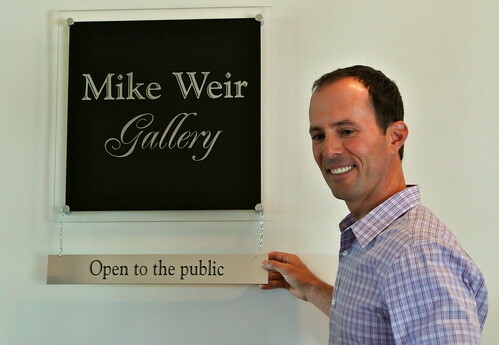 The crowning jewel is the one-of-a-kind Weir Gallery, opened officially by Mike Weir last weekend, which charts the golfer’s success from his early career to becoming the greatest golfer in Canadian history. 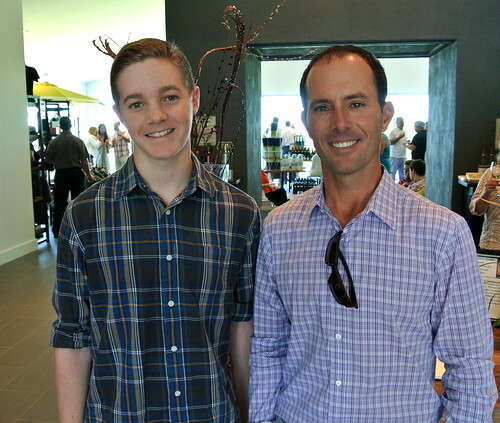 Weir was on hand with his family and friends on Saturday and the big beaming smile never left his face the entire day. He had kind words for the team in Niagara. 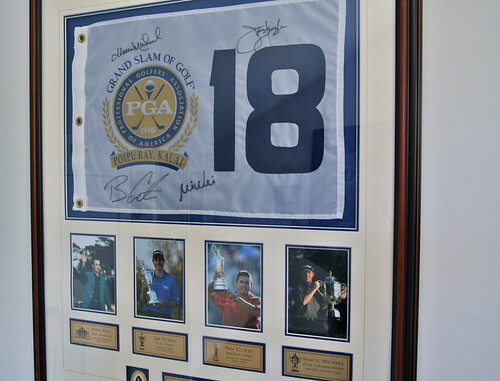 The gallery includes Weir memorabilia from key trophies, golf bags and signed golf cards to clubs and photos of his most defining golf moments. 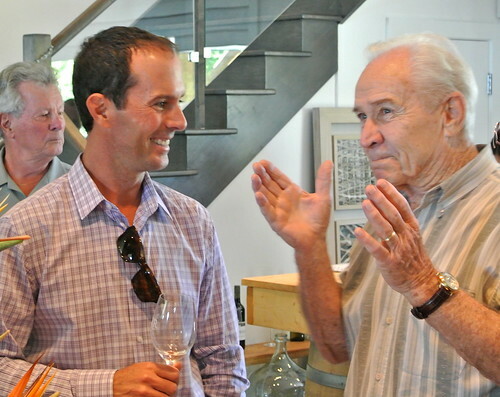 All profits from the wine go directly to the Mike Weir Foundation, which has committed $6 million from all its various components, of which Weir Wine plays a vital role. “I hope we have raised the profile of the Foundation,” said Katzman. 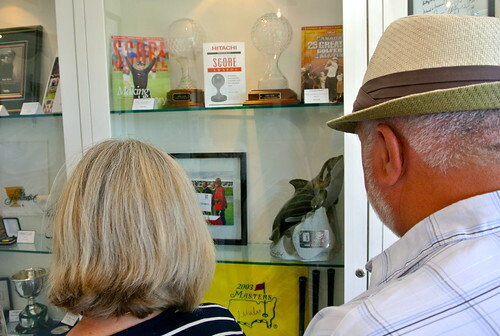 “The Weir family is as high integrity as I’ve ever met in my life.” The money raised goes to advancing the physical, emotional and educational welfare of children. 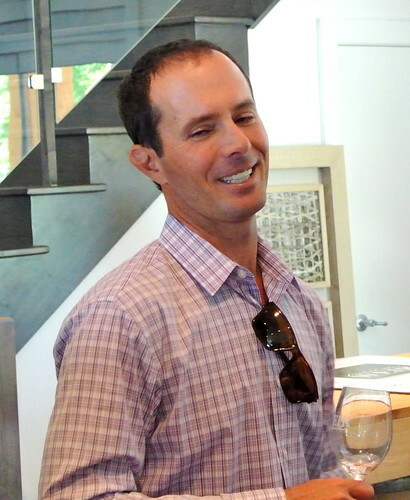 Mike Weir Chardonnay 2013 ($15): Weir’s most popular wine in Canada. It’s made in an unoaked, fresh style with pear-apple flavours and a crisp finish. 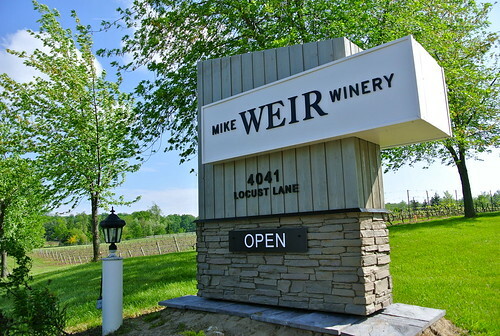 Mike Weir Cab Merlot 2010 ($17): Gorgeous cassis and raspberry notes with good concentration of flavours. Mike Weir Vinyasa White 2010 ($14): A light-weight white blend with only 70 calories per glass and made with only 9.5% alcohol. It’s slightly off-dry, with peach, citrus and apple flavours. 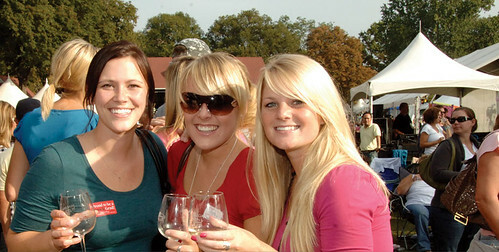 Note: Southern Ontario’s best food trucks are coming to Mike Weir’s winery July 12-13. The newly opened facility will host a Food Truck Bash on the large property from 12-5 p.m. on both days with free admission. 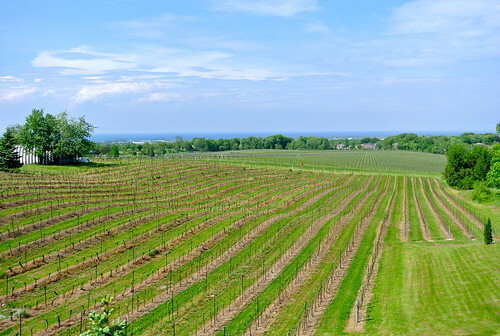 Wine Country Ontario visitors have more choice than ever for exploring the Niagara wine region with the addition of downtown St. Catharines to its popular wine route. 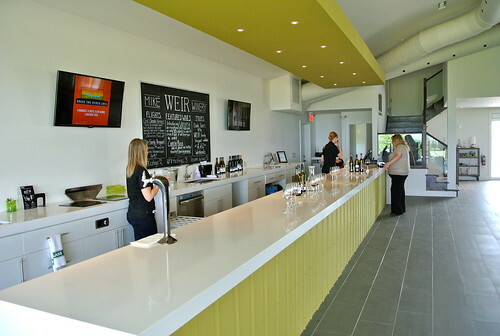 The Wine Route, which includes more than 500 way-finding signs placed in strategic locations throughout the wine growing regions of Ontario, provides consumers with easy navigation to wineries, restaurants, accommodations and other experiences in the area. 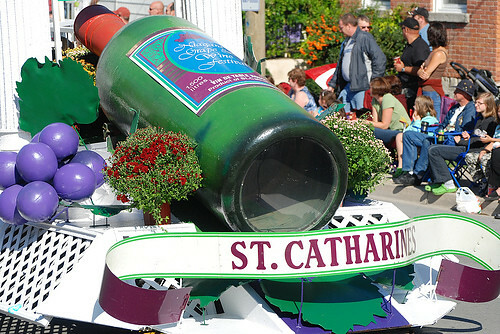 Officially launched today, the St. Catharines section of the Wine Route is destined to be a popular destination for those looking to add a taste of small-town living to their wine country experience. From boutique shopping and locally sourced dining to cozy accommodations and other discoveries, visitors will find lots to explore in this historic town en route to the wineries. 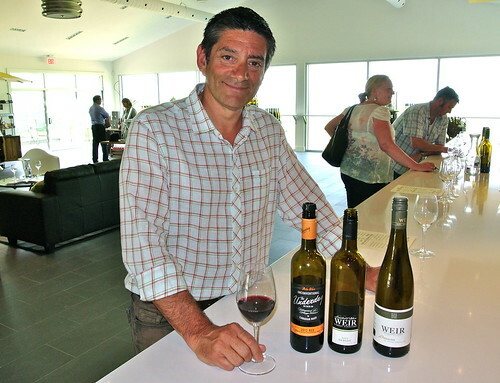 “Wine Country Ontario is excited to introduce new avenues for visitors to enjoy the Niagara region,” said Allan Schmidt, Chair of the Wine Council of Ontario. 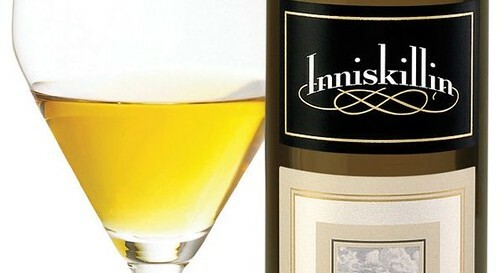 Inniskillin wine estate’s 2012 vintage icewine has scooped the coveted International Trophy for Best Sweet Wine Over £15 ($27) per bottle at the 2014 Decanter World Wine Awards (DWWA). 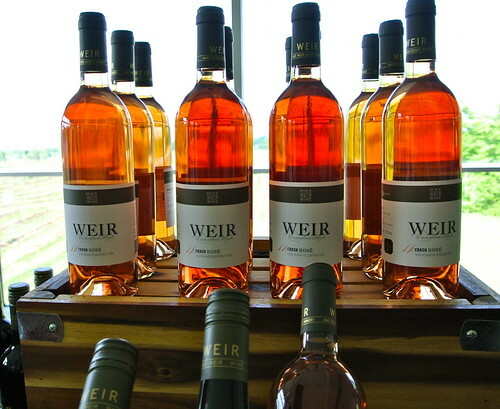 Produced from Vidal grapes, the wine is the first Canadian Icewine to win an International Trophy at DWWA. Its victory is particularly notable because its category was one of the most strongly contested during International Trophy judging at Decanter’s headquarters in London, UK. ‘This Decanter Trophy validates the work of Canadian Icewine producers and reinforces the reputation of Icewine as one of the world’s great iconic wines,’ said Tony Aspler, DWWA regional chair for Canada. It is not Inniskillin’s first medal for Icewine at DWWA. 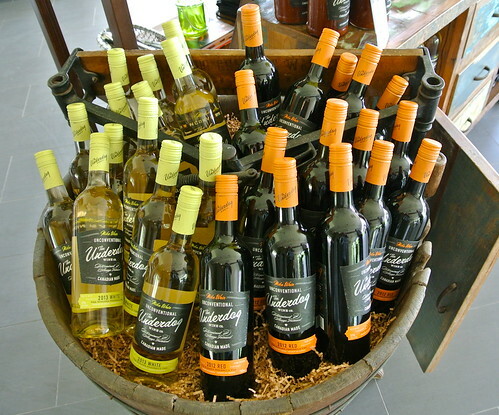 Last year, it won bronze medals for its 2008 vintage Vidal Icewine and Vidal oak-aged Icewine from Niagara. It also won silver for its 2008 Cabernet Franc Icewine. Only 33 international trophies were awarded at DWWA 2014, representing just 0.22% of the 15,007 wines tasted by 224 specialist judges from around the world, and including 66 Masters of Wine and 18 Master Sommeliers. Full results and details of the awards can be found here. 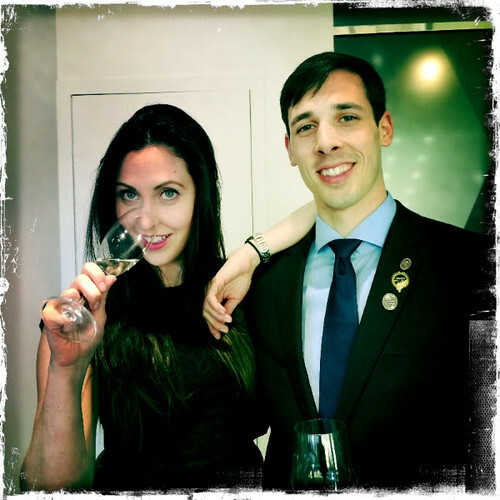 Steve Robinson, the 27-year-old sommelier of Atelier Restaurant in Ottawa, seen above with Emily Pearce (Canoe), was named top sommelier in Ontario Monday after completing a gruelling round of tasks that including blind tasting, written theory and practical exercises in a mock-restaurant setting. This was Robinson’s third attempt at the Best Ontario Sommelier Competition, which is organized by the Canadian Association of Professional Sommeliers (CAPS) every two years. 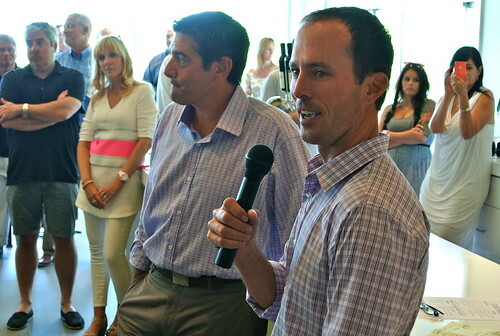 The event was held at the Arcadian Loft in downtown Toronto. 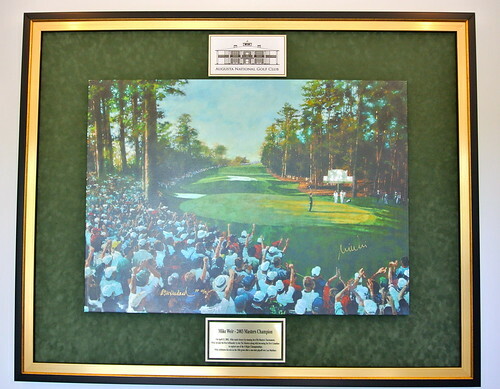 Robinson will move on to compete in the all-Canada competition in Toronto in 2015, which leads to the world event in Argentina later that year. Quebec’s Véronique Rivest, who was a head judge at the event, took 2nd place in the world competition in Tokyo in 2013, the first time a woman reached the podium at the global meet.